As always the early fall is our ‘slowest’ time of the year. The summer is over, schools are starting up – but not yet fundraising or passing on donations – and we are pre-Christmas. One of our focal points during this time period is around school fees. 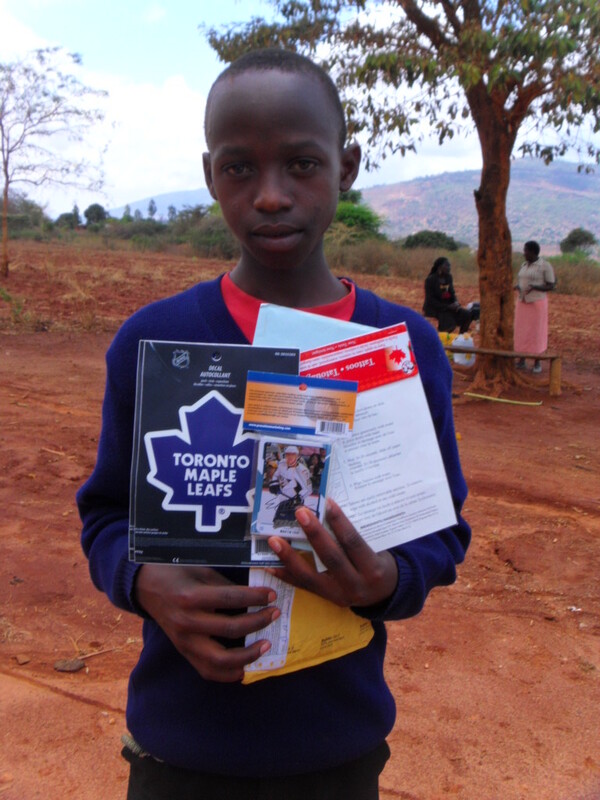 We now have 42 students either in residential high school or post-secondary placements. This will be increased with another 8 potentially entering high school in January – the start of the Kenyan school year – as well as a number of the high school students entering post-secondary which is again more expensive. 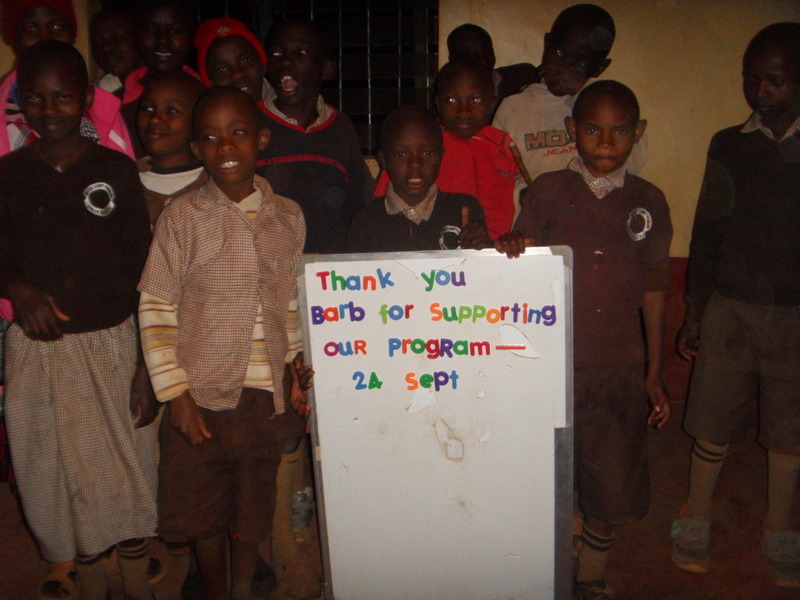 As we’ve discussed through better nutrition, tutoring, the security of being cared for, and the knowledge that they would be provided with ongoing education, our orphans have made dramatic strides in their educational successes. Our students are qualifying for regional and national high schools, which are much more expensive, as well as qualifying for university. This all means that we have a greater need for funds to pay for education. In response to those needs we have been discussing the creation of a new category of sponsors – educational sponsors. These are people who will ‘pair’ up with the regular sponsor to help pay for the educational needs of a specific child. This will be done with the knowledge and agreement of the sponsor. While this program will officially ‘start’ with the beginning of the school year in January we already have four new educational sponsors. This is in addition to supplemental educational funds that we have already been receiving from generous supporters in the past. Lindsay Farlow, who is the older sister of Lisa, is going to become an educational sponsor. Jimmy and Hannah Kim and their three children are going to become educational sponsors to three children. 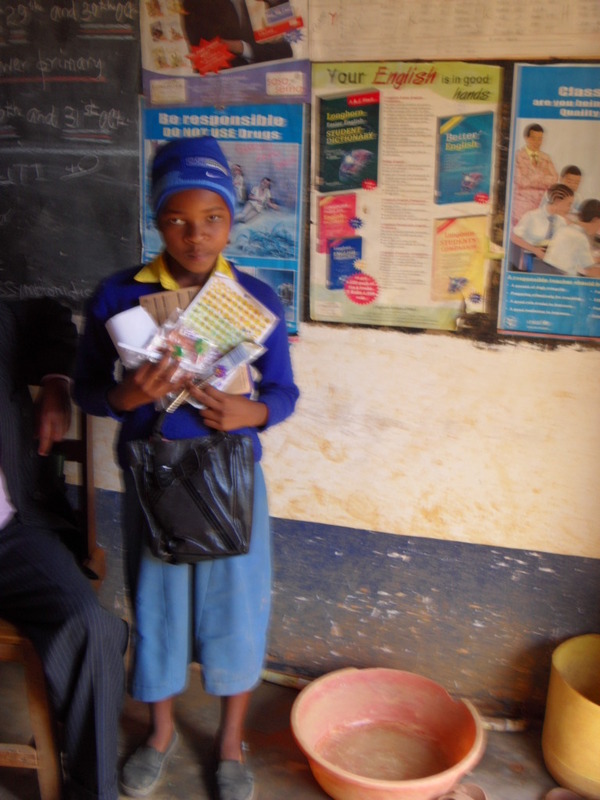 Steve Hilb and Erika Power have also committed to sponsoring the education of a specific child. Kelly and Chris Betts and their children Jake and Julia are sponsors of Eric. 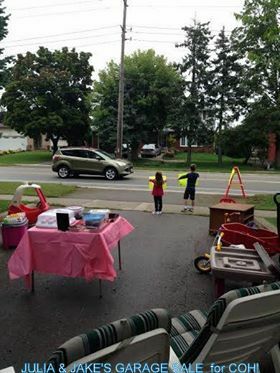 At the end of summer Jake, who is going into grade 1 was eager to do something special for Eric so he and his sister had a garage sale and along with some family donations they raised $250.00! This will be used for daily support for the whole program plus something special for Jake’s ‘brother’ Eric. 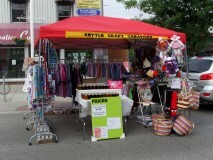 Our good friend Barb Kettle sold Granny Bags and Jammer Bags and raised $105.00. This money will be used to support the program for one day. This sale was the first of several seasonal sales that Barb is holding this fall. The Granny bags are hand woven by grandmothers of our orphans. The women are paid market value and the bags are brought back by volunteers and sold here through our connections. Then 100% of the proceeds of the sales are donated right back to the program. At a school presentation a girl named Aurora donated .50 cents to the program. She gave all the money she had – what more could ever be given? 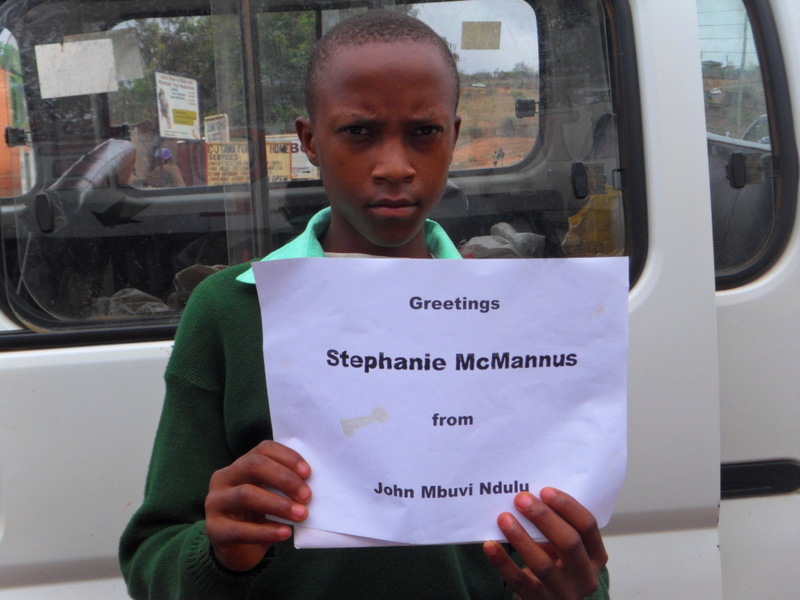 At a school presentation at St. Joseph in Cobourg a boy named Shayne gave a donation. This money will be used to buy an orphan a blanket. My newest book was inspired by my Kenyan travels. 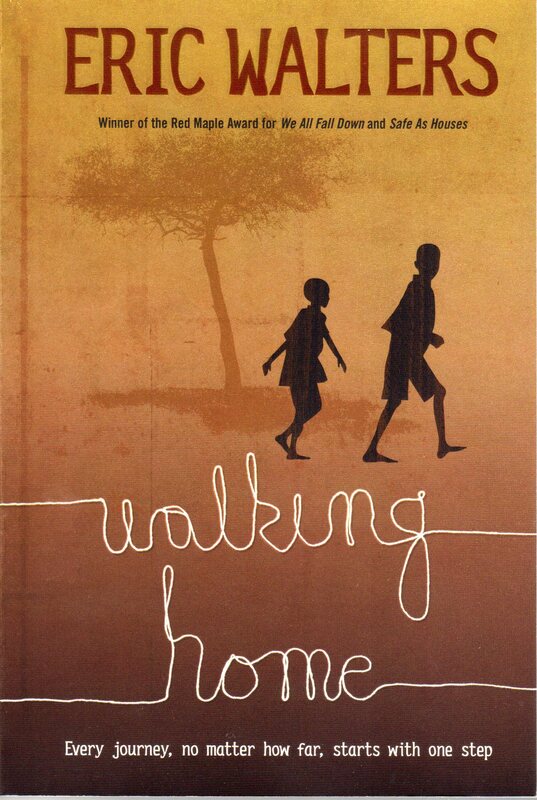 It involves a young boy and his sister having to walk across Kenya to find maternal family they’ve never met in a place they’ve never been – Kikima. 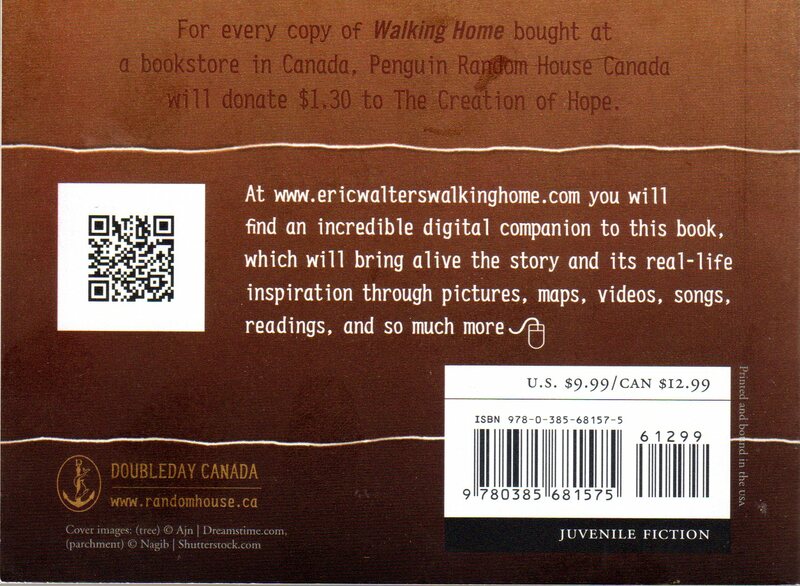 In the summer of 2012, Henry Kyatha and I took four young Canadians and four of our orphans and walked across Kenya the same way the characters did. This book is special in a number of ways including a website www.ericwalterswalkinghome.com which shows our travels including pictures and videos and features a documentary about one of our children, Baraka. 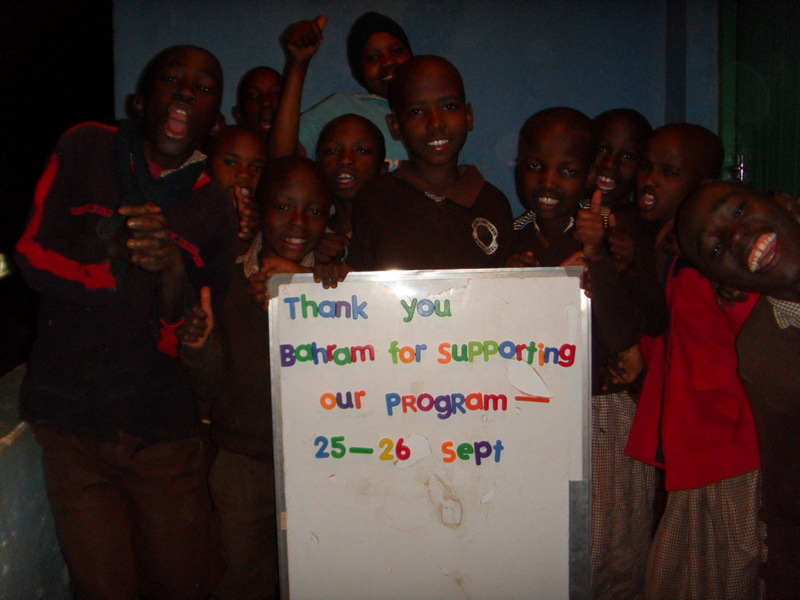 Even more special, Penguin Random House is donating $1.30 from each book purchased directly to our program in Kenya. This is wonderful and generous and will have an amazing impact on our program. This effort is being supported by some caring people at Chapters/Indigo who are going to feature this book in their stores across Canada! 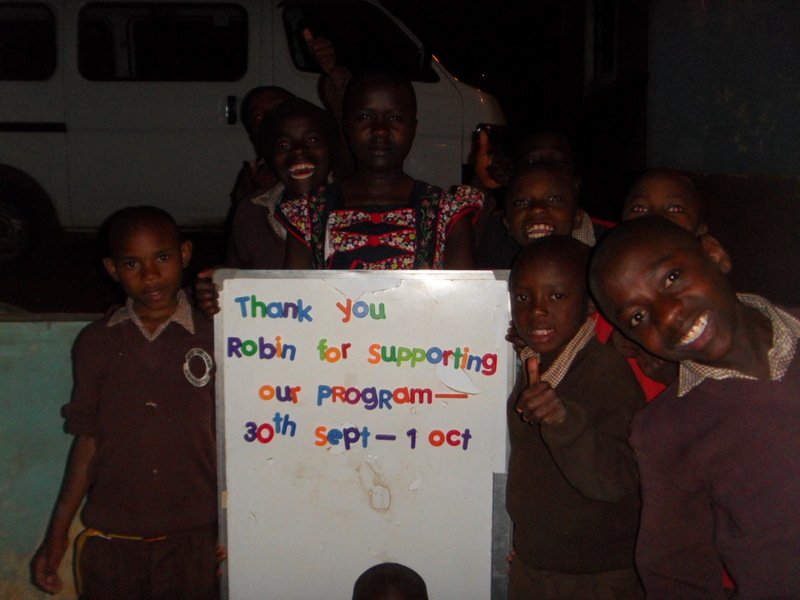 Each month food is distributed to the hundreds of orphans and disadvantaged children in the community. This is orchestrated using our vehicle. Food and other items that are to be distributed are driven to specific locations around the region where the extended family members meet to receive their packages. 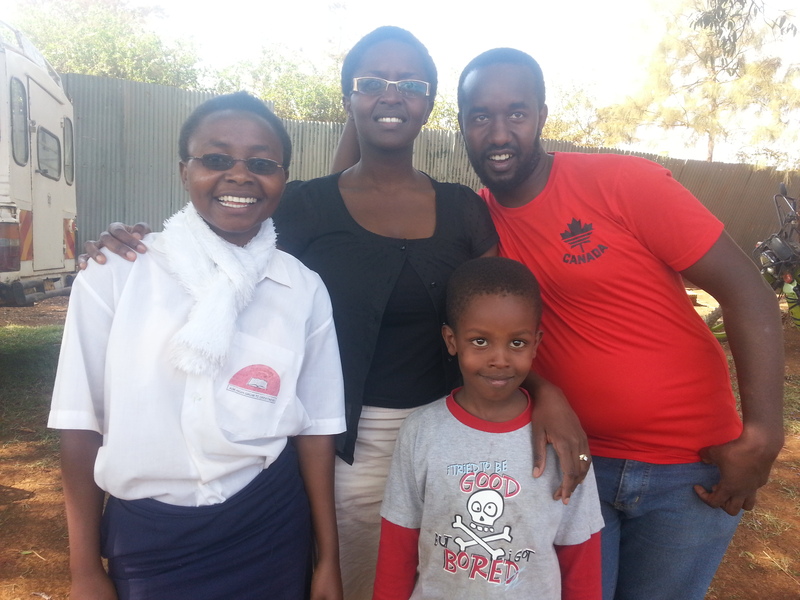 Mercy – sponsored by Christina and Ray – was visited at her school on Prayer Day by Kay, Kioko and Ricky. 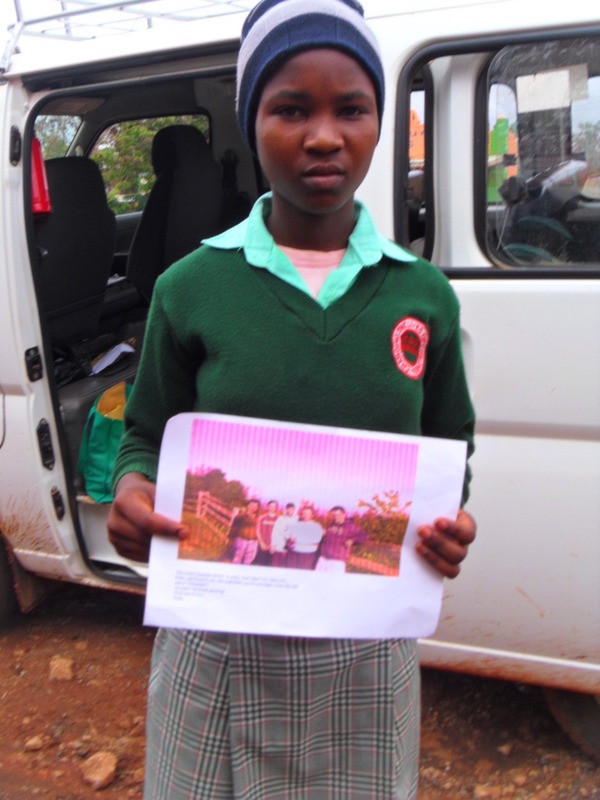 Koki holding a picture of her sponsors, the Saar family. As with most families, life is becoming busier as we prepare for the Christmas season. Thank you to the many sponsors who have responded to the request and have donated generously for the Christmas celebration. The funds will be used to purchase practical gifts for the sponsored children as well as treats and smaller gifts for all children who receive support from the program. There will also be a gathering of all the children and extended family guardians for a Christmas celebration at the residence in December – in the hot Kenyan weather season!